Movavi Video Editor is a powerful yet easy-to-use video processing program for Windows. Cut and join video clips with zero quality loss, apply stylish video effects and filters, add music, titles, and much more! Despite its extensive functionality, Movavi’s video editing software is very easy to work with: take a pinch of fantasy, mix it with some free time, and you’ll have a Hollywood-like video with a lot less effort. Download the program, review the information on this page – and your path to fame has for sure begun! 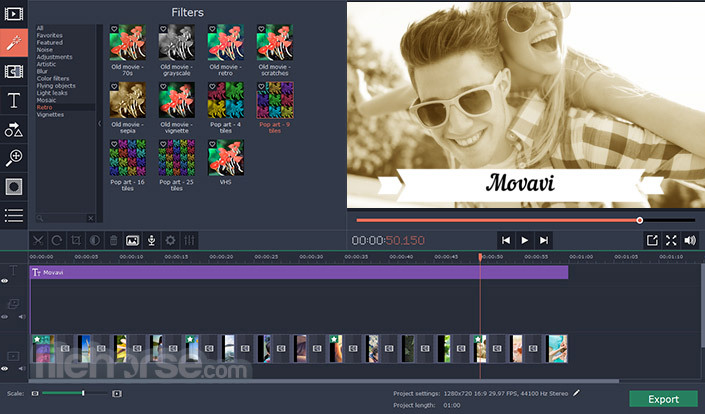 Upgrade Movavi Video Editor to Full Version for Only $39.95! Lifetime for 1 PC! Upload video and audio files in any popular format: AVI, MOV, MP4, MP3, WMA, and many others. Transfer recordings from photo or video camera to your computer. Digitize VHS tapes, record video from TV tuners. Capture webcam footage, record your voice via microphone. Add photos or any other graphic files. 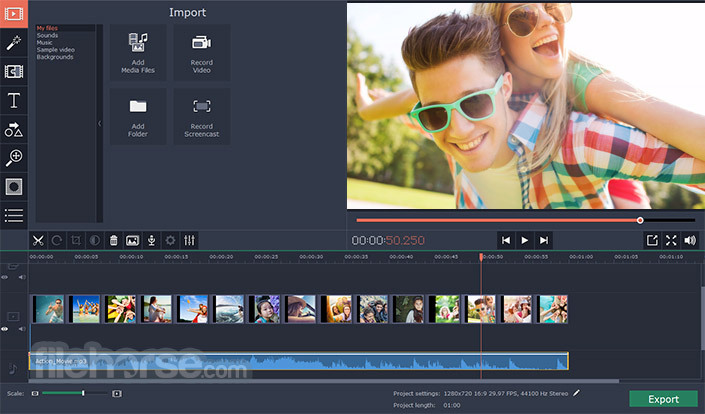 Download Movavi Video Editor 2019 latest today! Easily make slideshows in 3 quick steps with the Slideshow Wizard! Add photos, transitions and music, automatically sync slides with audio rhythms. Make your videos spectacular with our special “Hollywood” effects: create a “Matrix”-like feel with Slow Motion, or transport your friends to another world with Chroma Key! Our Video Editor is now faster than ever! 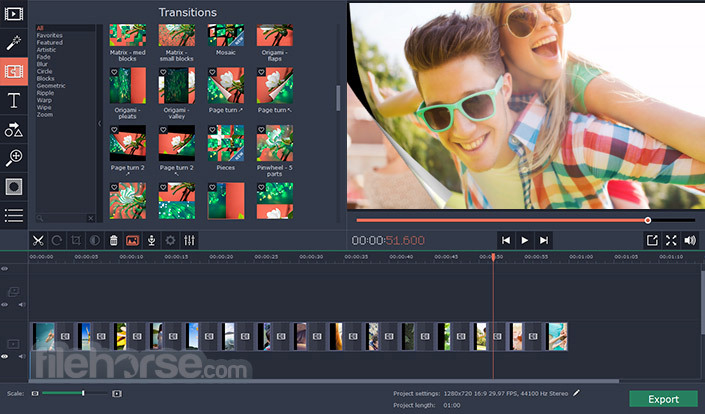 Edit and export video without delay, thanks to the new multimedia engine and support for Intel® HD Graphics technology! Make your video and/or audio clip go backwards with just one click - create breathtaking reverse videos that make everything look like a magic trick! Note: 7 days trial version. Only half of the audio files is exported and watermark on the output video.